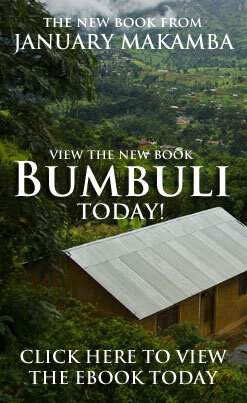 Bumbuli is a constituency located within the north-eastern corner of the East African country of Tanzania. Tanzania is a land of spectacular beauty with 40 million people; it is the largest country in East Africa. A land of geographical extremes, hosting the highest peak with Mount Kilimanjaro and the lowest point in the lake bed of Lake Tanganyika. Home to a diverse mix of religious and ethnic groups, Tanzanians are united by common language, Kiswahili and a strong sense of nationalism with a flourishing democracy and prospering economy, known for its peace and security. Born to a beautiful nursing trainee and a charming but loud local government functionary in January of 1974, my life’s course has been both wayfaring and sturdy. The journey has taken me from a wondering village kid, who was briefly internally-displaced and separated from parents by war; to a founder of a refugee camp and a peace keeper; an aspiring diplomat turned into a presidential aide with front view seat to history, culminating to my 2010 run for parliament in Bumbuli constituency. This existence is filled with both hardships and rewards which have transformed me into the man I am today — This is my story — The story of January Makamba.